A defiance came from a female member of the ANC in the parliament on Monday, against her party's direction, about how party members in the parliament should vote in the vote of no confidence, expected on President Jacob Zuma, on Tuesday. "It is a vote to protect the social security net that is critical to so many of our citizens, and it is a vote in defence of our democracy. Corruption widens the racial and economic divides in this country, and the actions of a few have stolen South Africa's freedom with corruption and greed. Our people will not progress if ethics, hard work, talent and diligence are doomed to play second fiddle to cronyism. Today I call on all MPs to vote with their conscience. The road will not be easy, but we will walk it together. We must do the right thing and the right thing is to support tomorrow’s vote of no confidence against President Jacob Zuma," Makhosi Khoma said, according to News24. President Zuma had waded through seven votes of no confidence in the past and scaled through without his removal from office. But he seems not to have learnt any lesson, based on developments in the country concerning allegations of corruption and the unusual influence of the so called Gupta family on the presidency. Now the 8th vote of no confidence is taking place on Tuesday, 8th of August, and the noose seems to be tightening, because some of the ANC members in the parliament have vowed to do the right thing against the command by the party. Aside from Khoma, there are other ANC members in the same frame of mind like her. In the past seven votes of no confidence, the ANC and its members had viewed the votes of no confidence on Zuma as votes of no confidence on the ANC. But now it seems that the tone of of the party and some of the party members have changed and become divergent against each another. Just few days ago, the ANC was reported to have warned its members against supporting the vote of no confidence on Zuma, giving its reasons as a vote of no confidence on the president will destabilize the country, derail the country's economy and that a vote of confidence on Zuma by any ANC member will lead to recall and negative effect on the member's standing in the party. 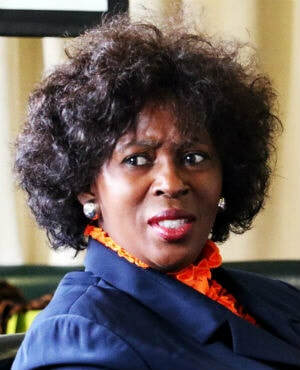 But on Monday, a defiance came from a female member of the party, Khoza, who has called on ANC members in the parliament to do the right thing. Meaning to follow their minds and not follow the party. She said she had been complicit at propping up Zuma during seven previous of no confidence votes. She said a vote of no confidence on Zuma will not be a vote of confidence on ANC. "As [an] ANC member, I rationalised my votes, believing a united ANC would eventually stand against the leader who has failed us. But that has not happened,' she is quoted by the newspaper." For Zuma to be removed with a vote of no confidence, the parliament will require 50 out of 249 ANC votes. The difficult thing for anti Zuma crowd will be getting the 50 ANC votes. Meanwhile, members of ANC youths' wing are saying that Zuma will remain as president by Wednesday.